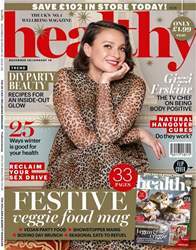 Welcome to our festive food mag, with all you need to eat, drink and still be merry come the Big Day. Christmas, it seems, is not just one tradition but many. Each family, each person, has their own way of celebrating. This is what makes it so special, but can also tip meal planning into chaos. So, whether you’re vegetarian, vegan or just looking for a cracking alternative to a roast, we’re here to help. Food writer Myles Williamson is the brains behind our veggie menu – his chestnut pavlovas (this month’s cover star) are a real crowd-pleaser and they’re super-light, too.